Don Johnson's 90th Birthday Bash! I just returned from Don Johnson’s 90th Birthday party which was held on Tuesday, December 27, 2011. 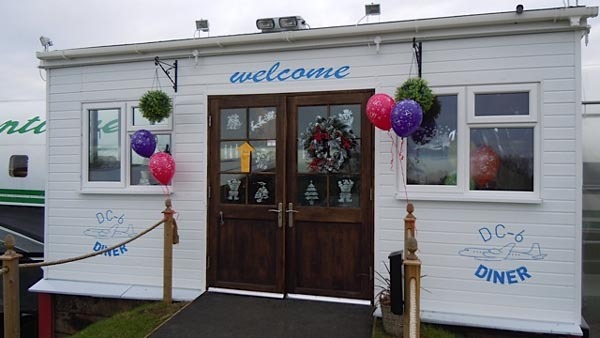 The venue for Don’s Birthday bash was a converted DC6 (of course) that is now a fully licensed restaurant on the Coventry airfield. 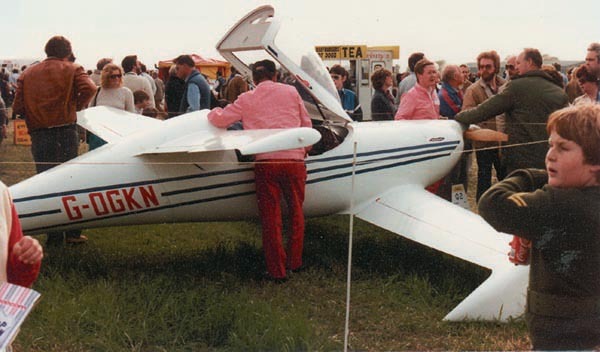 Don Johnson, with the assistance of his wife Norma and his sons Mark and Ian, built and flew the first UK Quickie in record time back in the eighties. Before he could become European (and S.African) dealer he had to convince the then PFA head of engineering to accept the Q2 as a UK approved kit. This dealer demo Q2 flew to Venice in Italy. That was not without difficulty of course but the PFA were to be no obstacle for Don. 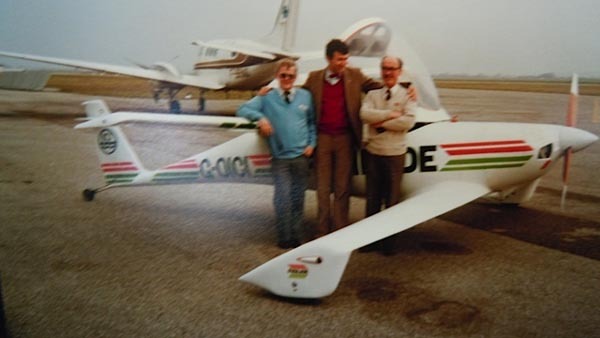 He later acquired sponsorship from ICI who were making resins and the aircraft was registered G-OICI with the Fuselage logo painted along the side. 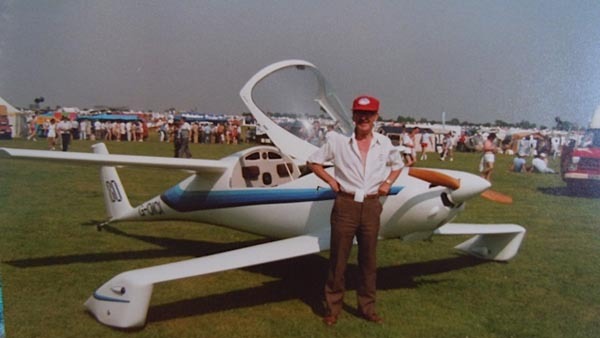 I have had the unique privilege to read some of Don’s correspondence with regulators, so please understand that, without Don's vision and dogged determination, there would very likely have never been the option to build and fly a Quickie in Europe and S.Africa. each would be worth 1/2 million pounds or 3/4 million US$! 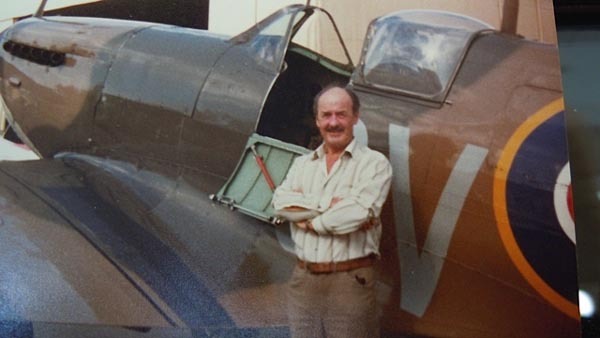 Don flew Hurricanes amongst other types in World War 2 and spent time in the far East. 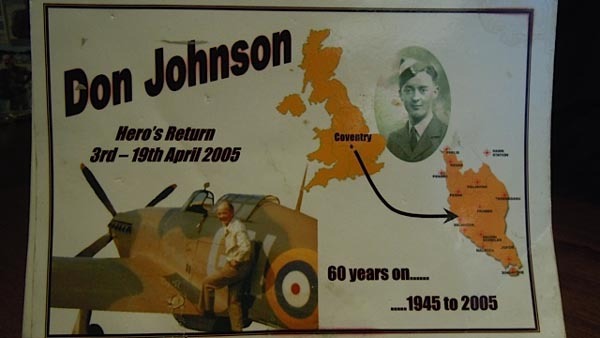 He has been an active supporter of Coventry flying club for many years and appeared on TV last year when, at 89 years of age, he got to fly an aircraft in Britain again that he had first flown and logged time in during WW2. The plane was an Auster 3 seat reconnaissance aircraft used in Burma. He took off (once) and landed (by his own admission a few times) in front of the cameras during Air Atlantique's open day. Belinda, my partner for 17 years (who now has her PPL), and I flew in from Wellesbourne to see Don in the newly opened DC6 restaurant having lunch with the Mayor of Coventry and other dignitaries. He still enthusiastically collects a stills and video archive of all the Q kits that have hatched. 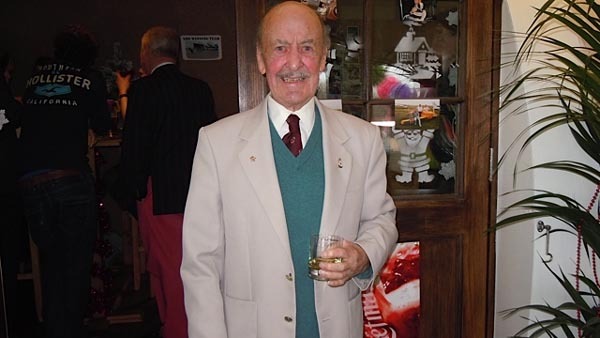 If anyone from either side of the pond would like to pass a message to Don on his 90th birthday please send them to me so that we can have them posted on the QBA website for everyone (including Don) to enjoy. We wish Don a hearty THANK YOU and the very happiest of Birthdays ever! 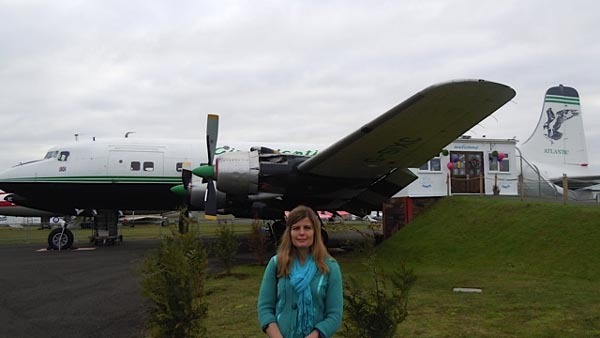 Don with a representative of Airbase, part of Classic Flight and Air Atlantique. Instead of presents, Don requested donations to help keep them going. 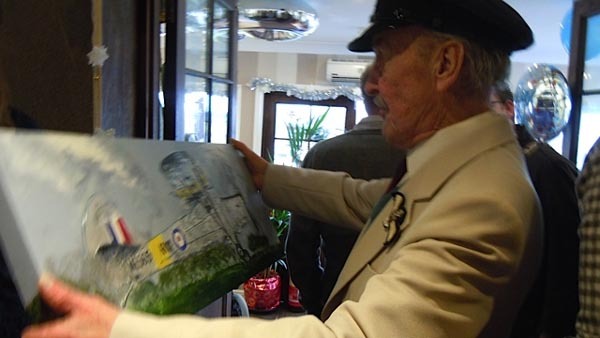 Don's invitations rule out personal presents of any kind but he wants everyone to know that he supports the Classic Flying Club who keep old, mainly British designs, in pristine flying condition regardless of cost. Don with his new wing man, son Mark. 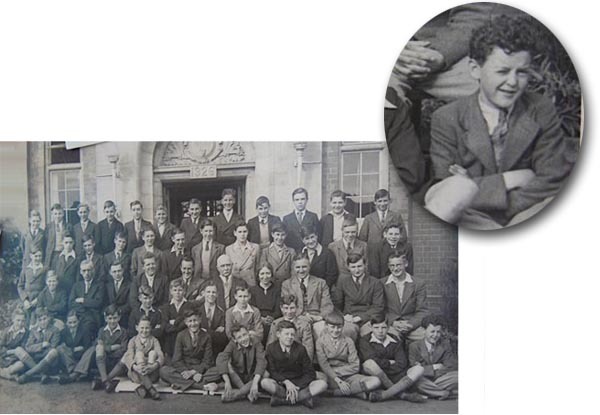 Don "Curly" Johnson at school circa 1932 front row extreme right. 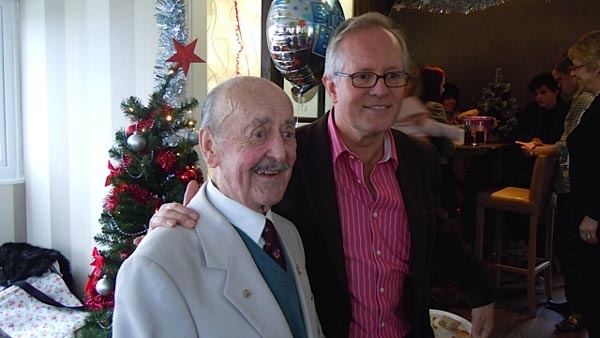 The Coventry Telegraph Newspaper also attended Don's Birthday party and did a nice write-up here. I used to build large scale, competition standard, r/c models. The last one I built was a Cessna 120 with an aluminium skin and all the rivets faithfully replicated. It had opening doors and cowling, and the Cessna name was incorporated in the foot step. It took me two years to build and shortly after it was finished I attended the World R/C competitions at Cranfield. There was this little cute looking, but rather odd, airplane there, and I crawled all over it. The owner turned out to be the importer, Don Johnson, who told me that it had taken him two years to build! 'WOW' I thought, what the blazes am I doing building scale models when I could be building the real thing, and not that much bigger, either! So I bought a kit from him and here I am, 25 years later, still building!! He worked at it full time for that two years. He had the help of his son, Mark, full time. 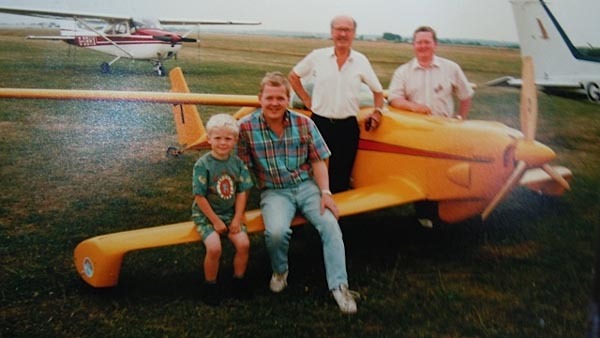 He had the help of his son, Ian, full time . He had the help of his wife, Norma, full time. But, you know what, I just love it, and all the friends I have made on the Q journey......frustrating sometimes but very enjoyable and fulfilling. 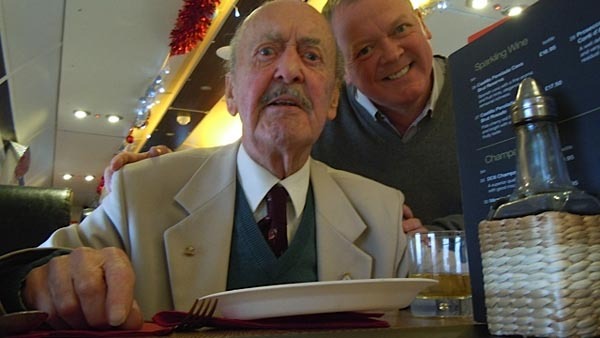 Please give Don my best wishes on his 90th, and say Hi to Mark and Ian for me. PS I never returned to building models! Richard Kaczmarek also noted that there is a photo of Don and his family in Quickie newsletter No. 21 fall of 1983, and a pilot profile in Quicktalk issue #29 page 6 Sept/Oct 1986.